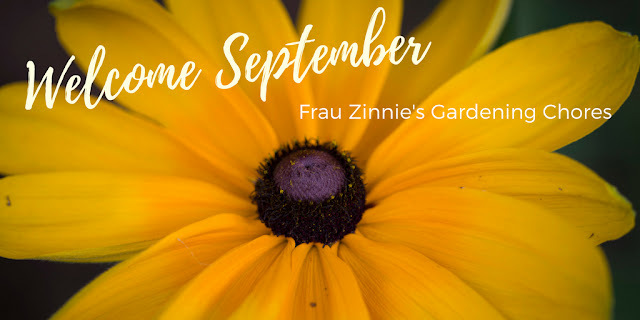 The main thing to keep in mind this month: The gardening season is not over yet! With the soil temperature remaining warm (allowing plants' roots to continue growing) gardeners also have an easier time completing tasks in the cooler weather. In fact, you've probably seen the little garden tags all over garden centers: Fall is for Planting. Yes — yes it is! Feeling ambitious? There's a lot that can be completed this month, including creating raised beds and editing current garden beds. Vegetables are still producing, flowers are still blooming, and in Connecticut, frost won't be an issue for at least a month. So let's start working on this month's chores! 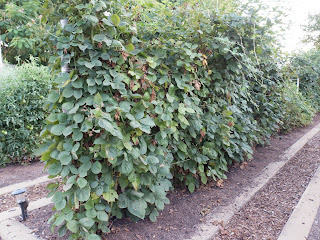 Trellis ramblers — Are your raspberries and blackberries out of control, like mine? When I visited California last summer to be a #NGBPlantNerd for a week, I came across a staking technique that I fell in love with! Most often used for indeterminate tomatoes, I also spied it being used to control blackberries. Take two fence posts and use string to "Florida Weave" or basket weave the plants in position. (Not sure what that process is? Here's a video I found from The University of Maine that explains how it works.) I'm going to do this before winter descends in Connecticut. Plant for fall — Many vegetable plants that like cooler temperatures, such as lettuce, kale, peas, beets, radishes, spinach, carrots, are perfect for planting now in cold frames or raised beds where frost covers will be used for protection. Look for varieties that will mature within 30 days. To keep flying pests off, use a floating row cover (install when you plant). Speaking of planting for fall, instead of buying grocery store mums (which are usually grown in hot houses and won't survive harsh New England winters), consider adding asters, perennial mums, and grasses to your landscape. Pots can be refreshed with decorative kale and ornamental pepper plants. Preserve your harvest — Whether it be tomatoes, beans, cucumbers, peppers or herbs, make sure you start freezing or preserving them to extend the harvest into the winter months. Daylilies — Now is a good time to divide and plant new ones in the garden. Bonus: If you are starting a new garden bed, when you are planting bulbs this fall, plant daffodils underneath your new daylilies. The emerging daylilies will hide the daffodil leaves as they yellow in the spring. Bulbs — It's time to place your orders! Break out the photos you took in the spring and figure out which parts of the garden are missing spring color. The trick is trying to get a continual cycle of bloom. This year I'm going to be focusing on more minor bulbs (think crocus, snowdrops and grape hyacinths) to create larger swatches of color. Garlic — If you didn't set aside some bulbs from your harvest earlier this summer, the time to order from seed houses is now. You'll want to plant them next month in your garden. 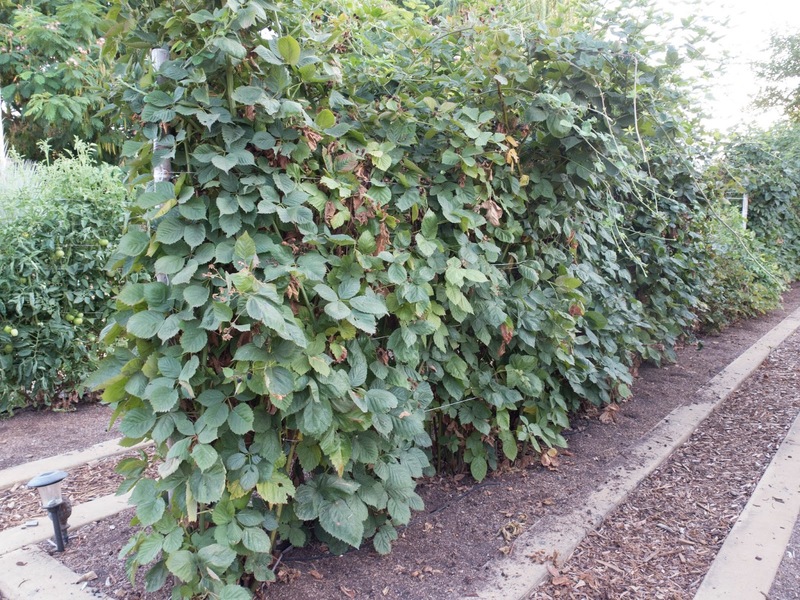 Divide perennials — This is a great time for dividing vigorous growers in the garden. But it's OK to put plants in the compost pile if they no longer have a home in your garden. If you are more ambitious, check out these late-summer garden design ideas, as covered in a previous story for the blog. Soil tests — Did plants not perform as you had hoped this past season? Time for a soil test! The fall is a great time to start amending soil so you'll garden will be ready for planting in the spring. Monarchs — Monarch season is in full swing, and now is the perfect time to make plans for adding milkweed to your garden this fall. Hummingbirds — Keep feeders supplied with food for migrating birds. 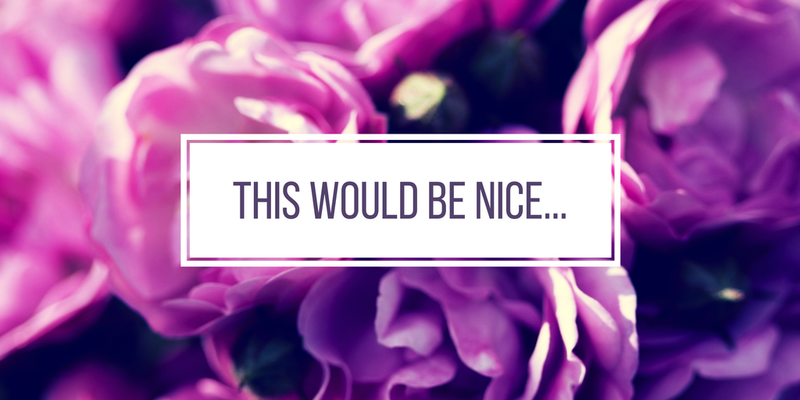 Display your flowers — Need ideas for what to do with all the flowers blooming outside? Here are some design ideas. Journal — This is an especially important time to write notes about what worked and didn't work in the garden this year. The notes that you take now will be useful when you experience spring fever in February. I find that if I am not specific about what worked and didn't work, or if I do not list the ideas that come to mind, I tend to overshoot my goals in the spring. So an example of notes I would take would look like this: "Given how dry the last two summers has been, I think I really need to start investigating drought-tolerant plants for the garden. I learned that cleomes really don't like the front street border where it is very dry, so I need to stop trying to make them grow there." Collect seeds— Start collecting spent flower seeds for use next year. Think cosmos, zinnias, calendulas, daylilies and snapdragons. Future beds — One of the easiest ways to start a new garden bed is by hoarding cardboard, and then laying it on top of the ground you want to turn into a new planting area. Put mulch and shredded leaves on top. In the spring, you'll have an area ready to plant, thanks to your garden's beneficial insects. This can also be done for new pathways: Lay down cardboard and cover with mulch. Done! Houseplants — So if you actually get everything completed outside and make it indoors ... replant any houseplants that need a larger pot or new soil. For houseplants that spent the summer outdoors, check for pests before bringing them in.